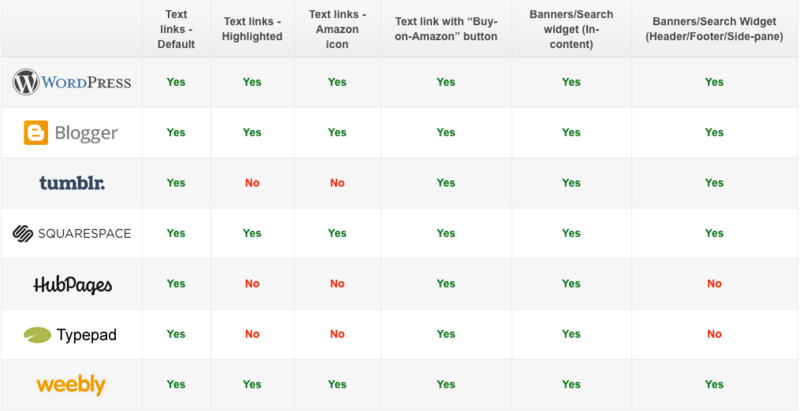 Text Links are the most popular Amazon ad units and work well on mobile devices. Customers are more likely to click on text links which are clearly visible to them. Decorating text links ensures that Amazon text links are clearly visible to the customers on a small screen of mobile devices. Text links can be decorated in the following ways depending on your website design and layout. Copy the original text link code from Associate Central or other link building tools to your webpage. In this case, text link will appear as defined by default CSS properties of the webpage. You can highlight a text link by changing text link color, back ground color, or underlining text link by modifying the CSS properties as shown below. Please visit demo blog for examples. Please visit Associate Central to build new text links. Customers are more likely to click on a text link if they know that text link will take them to the Amazon website as Amazon is a trusted brand. You can add an Amazon icon to a text link so that customers know that the link will take them to Amazon website. 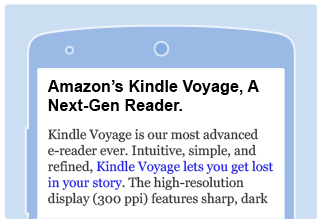 To add an Amazon icon, copy the original text link code in your webpage. Now add the Amazon icon to the text link by adding the code shown below in bold text. Please visit demo blog for examples. Text link with a clear call to action such as “Buy-on-Amazon” tend to convert better on mobile devices. You can create a text link with a “Buy-on-Amazon” button on your web site by copying and modifying the following code. Replace "storeid-21" with your Associates ID and "B00003CWT6" with the ASIN of the Amazon product you wish to promote. Please visit demo blog for examples. Does my website or blog support these CSS styles? If your website is self-hosted, you should be able to use any of the recommended CSS styles. If you are using blogging platforms like WordPress or Blogger, please refer to the table below to learn about the supported CSS styles for your blogging platform. All company logos are trademarks of their respective owners. Use of them does not imply any affiliation with or endorsement by them.